Do you want to be a Jr. Wrangler and experience life on the farm? - Things that children get to do every day. - Your child will be able to choose an animal and be responsinle for feeding and the cleaning of the stall of the animal that they choose. Learn how to groom the ponies. Learn the different parts of tack and learn how to tack up their pony, and when that is all done the kids will get to ride every day. - Some of the fun activities will be washing ponies, horse anatomy, scavenger hunt, a bug safari, first aid for the farm animals, water games (summer) and arts & crafts. 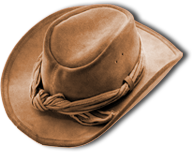 - We will provide straw cowboy hats, bandanas and a camp tee shirt. Open to boys and girls in 1st through 5th grades. Registration will be accepted up to two weeks before each session. Maximum of 15 campers per session. Spots are filled on a first come, first served basis.